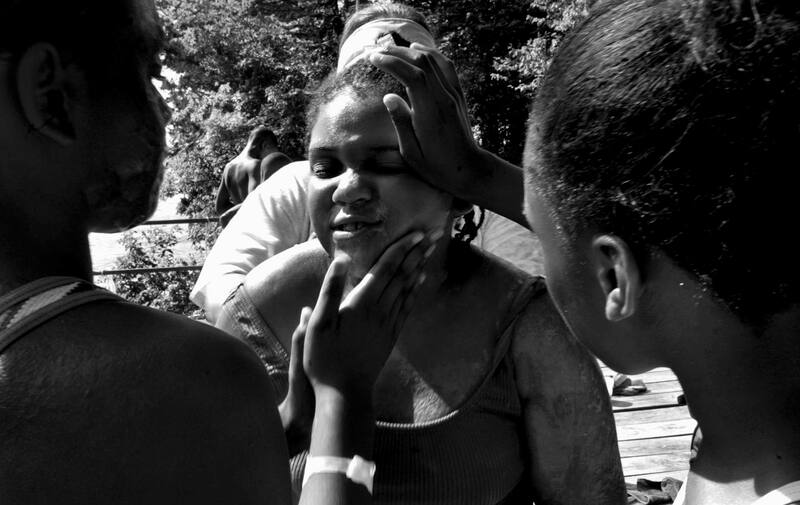 "I look white," said Chavelle Peeples,10, of South County, who gets dosed and later rubbed down with sun screen before going sailing Saturday afternoon at the St. Louis Burn Camp in the Lake of the Ozarks Saturday. This was Peeples second year at burn camp. "I just come and be me," said Peeples.